National says it will pump $400 million into boosting on farm-water storage and irrigation if re-elected. Not surprisingly – especially in the midst of an election campaign – the idea has been shot down by political opponents. But the rationale for this opposition seems more based on ideology than sound policy reasons. Much of this opposition from both Labour and the Greens stems from the idea of the money to fund these schemes will come from the Future Investment Fund – which will use the proceeds from the part asset sales that National is proposing should it get re-elected. While Labour and the Greens may have problems with where the funding is coming from; surely they cannot argue with the concept of creating a more reliable source of water for farmers that will in turn mean higher productivity and income for the nation – in turn leading to more tax and jobs! “Water is one of New Zealand’s greatest competitive advantages, but we are not making the most of it,” says Agriculture Minister David Carter. Who could argue with these sentiments? Well… the Greens and Labour! I thought the Greens want to create a billion – or some other fanciful number they quote – ‘green jobs’, while Labour is constantly bleating on about creating more jobs. Wouldn’t more reliable water on-farm via such irrigation programmes mean more produce from farms and therefore more jobs for all those potential workers at dairy factories, freezing works, cartage firms etc, etc all over the country? Prime Minister John Key says irrigation increases the productivity of our farm land, protects against droughts and takes the uncertainty out of water flows for farmers and recreational users. Another claim against the idea by the Greens and Labour is that it is a Government subsidy or handout to farmers. Ironic coming from political parties who want to hand out an extra $70 a week or beneficiaries or subsidise rail commuters in central Auckland. I don’t see these subsidy policies creating too many ongoing exports or jobs. But Key says it is not a grant, as the Government, through the proposed Crown Water Investment Company, will be a minority partner. It will invest with the expectation of a commercial return on that investment. The intention is for the Government’s stake to be sold off over time. Oh no – sales of more Government assets – the proposal must therefore be evil! Federated Farmers RMA and environment spokesperson Ian Mackenzie says a Crown Water Investment Company will help transform New Zealand agriculture and the economy. “It will help to reduce an annual economic and environmental rainfall lottery. This is about economic infrastructure that will grow productivity, it is no hand out. 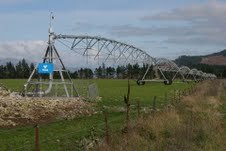 As lobby Irrigation NZ says reliable irrigation enables the added-value aspects of primary production. It will also allow investment in processing factories as it guarantees consistent volume and quality supply of product, says chairman John Donkers. Reliability will give existing food producers and processors the confidence to further develop and diversify. Reliable water means growth – both for our economy and the environment. All political parties – no matter if they are left, right or just plain bonkers – should be supporting such a plan. 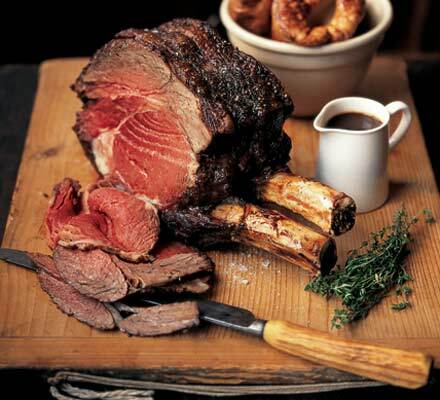 Does increasing price of red meat and changing trends means the end of the tradional Sunday roast? All over New Zealand sheep farmers are naturally rejoicing at the great prices that they are getting for their lambs – and so they should be. For many years sheep farmers have had to live with poor prices and this has been reflected in the investment going back into hill country farms. Now the tide has turned, seemingly for the better. This year for instance, the topdressing industry is climbing on the back of the good lamb prices and the orders for fertiliser are coming in thick and fast. Watch out as those field days people have deals that are too good to be true – just waiting for farmers. But is this all good news? The answer is yes and no – probably! While farmers and their leaders argue these kinds of returns are necessary to keep them in business, others in the city are not so happy. The local butcher is now paying about $200 for a lamb from the works and he has to add onto that a margin to make a profit. A leg of lamb that would feed an average family costs close to $70 and for all, but the rich and famous, that’s unaffordable. The vast majority of consumers are turning away from lamb because it is too expensive – not because they don’t like it. The worry is that in the long term they will lose the taste for something that New Zealand is famous for. BLNZ Chairman, Mike Petersen is right when he says lamb is becoming like bluff oysters – a luxury food for the wealthy. Beef + Lambs chief executive Rod Slater – who’s in charge of the promotion of meat locally – says price is one of the main factors that is driving lamb off the menu of a lot of people. BLNZ recently commissioned research into the eating habits of New Zealanders, which show that people are becoming much more price sensitive. “When you think about it, leg of lamb that was probably $25 not so long ago – now it’s close to $50. As a result, people are turning to beef, pork and chicken,” he says. Slater says that not so long ago, lamb was regarded as an every day food, but now it’s perceived as a special occasion food for events such as Christmas day or mother’s day. He acknowledges that the cost of lamb means that some people will never eat it and, to some extent, is an example of the social divide in New Zealand. Slater says lamb is seen as more luxurious than fish the challenge is now to find ways of making some lamb cuts more affordable. However what’s evident from the research is that the days of the Sunday roast are long gone. “The research shows that the most popular days for eating lamb are Tuesdays and Wednesdays – goodness knows why – I have no idea. Friday was the least popular day which has traditionally been a day when less meat is eaten, but the weekend roast just doesn’t happen anymore. People are more likely to have barbequed chops on the weekend. The most popular cuts are shoulder chops and loin chops,” he says. The other problem for lamb is that there is a generation of people who don’t know how to cook it. So while it’s good to enjoy high lamb now, perhaps greater thought and effort needs to be given by the meat industry to ensure that lamb remains an iconic food for all New Zealanders, not just the wealthy.